The Stargazer sandals are a Reef favorite with a bit of flare. That thin sparkly rubber strap means fun times whether by sunlight or moonlight. 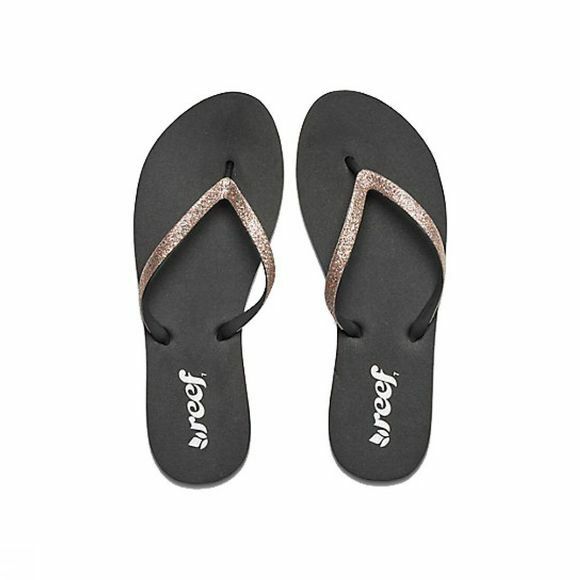 These women′s sandals feature soft EVA footbed for superior comfort and a durable rubber outsole.